It seems that the cost of homeowners insurance in Florida is higher and higher every year. A Florida residents are in dire need of some savings and relief. Although not much can be done for the time being to save money on Florida Homeowner’s Insurance other than getting a Wind Mitigation Inspection completed by a Licensed Wind Mitigation Inspector in Florida, there is a lot that can be done to save money of Flood Insurance in the state of Florida. FEMA the government entity responsible for establishing and determining what areas of Florida are designated Flood zones. FEMA puts out maps available on their website https://msc.fema.gov/portal where homeowners can see if their homes are in designated FLOOD ZONES. A Florida Licensed Land Surveyor can be relied upon to visit a particular Florida homeowner and prepare an Elevation Certificate also know as a FEMA Flood Certificate or and Elevation Survey. 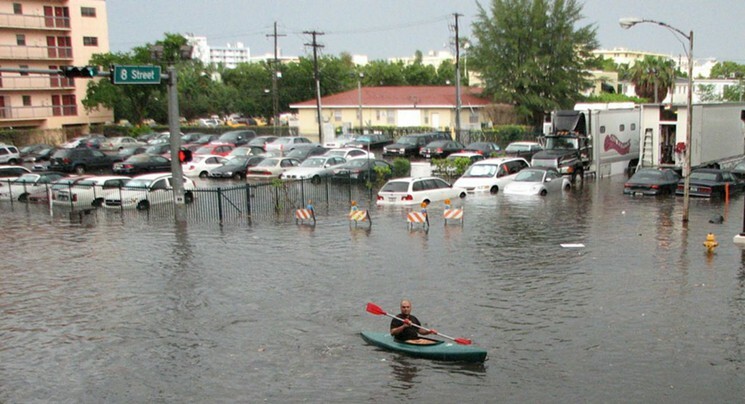 With this report a Homeowner’s Insurance Agent can quote a Florida Homeowner the cost of Flood Insurance for their home. A Florida Licensed Land Surveyor after preparing a Flood Certificate for a Homeowner can also determine if the home can qualify for a LOMA Letter also known as a Letter of Map Amendment. A LOMA Letter can not only reduce the cost of Flood Insurance it can completely eliminate a particular home from ever having to pay flood insurance again. This can be a sizable savings to Florida Homeowners Frank White of Pompano Beach, Florida told us that after getting an Elevation Certificate completed on his home and learning that he qualified for a LOMA Letter he has been able to save over $500.00 every year by not having to pay for Flood Insurance. This I am sure all will agree is well worth looking into and getting an Elevation Certificate done immediately. It is important to note that FEMA has made recent changes to flood maps throughout all 67 Florida counties and homeowners that were not considered to be in a flood zone in the past now find themselves having to pay flood insurance. The same also applies on the opposite. The solution? A Hire a Florida Licensed Land Surveyor to survey your home and determine the elevation of the home and see if your home qualifies for a LOMA Letter. This typically costs $125.00- $395.00 depending on the county in Florida the home is in. If the home qualifies for a LOMA letter your Land Surveyor can complete the form and VOILA you never have to pay Flood Insurance again!